Successfully remove your name from a co-signed loan. 1. "If You Cosign for a Loan, Can You Sell the Property?" When a mortgage applicant can't show enough income or when he or she doesn't have a good credit score, a co-signer is needed. As a co-signer, you're agreeing to take over the mortgage payments if the other party fails to pay. Over time, you may wish to have your name removed from the mortgage. A few options are available, even though it may be challenging to get this done. One of these options if to find out if the other party now qualifies on his own income and credit merits. If he does qualify, the lender may be amenable to removing you as co-signer and restructuring the loan. Until such time as your name is removed from a mortgage, you're still legally responsible for 100 percent of the debt ... even if a divorce court has ruled that your former spouse must pay the mortgage. Call the lender who currently holds the mortgage and inquire about a refinance in the original applicant's name only. The lender can re-evaluate the applicant's income and credit score and review their payment history. 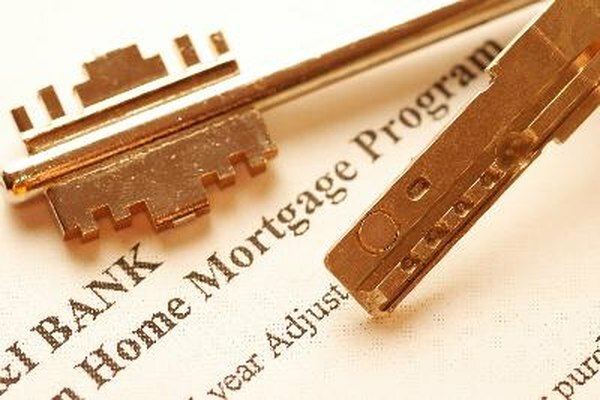 If the applicant would now qualify for the mortgage on their own, the lender will provide a prequalification letter. Once you're sure the applicant is able to refinance the loan in his or her own name, you'll need to file a quitclaim deed. This deed is a legal document that releases you from any interest in the property. You can draw one up on your own, or use a complimentary template provided by such sites as Rocket Lawyer. The deed will need to contain a description of the property and its address, the date of the transfer and the payment. In this instance, there is no exchange of money, but you'll still need to state that on the deed. All parties must then sign the deed in front of a notary. Either mail, fax or email the quitclaim deed to the lender so that the company can proceed with the refinance. At this stage, the lender will also need the applicant to submit important documents, such as pay stubs, tax returns, proof of savings and proof of assets. Once the information has been verified and the refinance completed, you'll be officially removed as the co-signer of the mortgage. Should the current mortgage lender decide not to go ahead with the refinance, it is possible to shop around and find another mortgage company that is willing to approve a refinance. There's also the option to pay off the loan if the individual has the funds to do so, or has a family member willing to lend them the money. If not, the only other way to remove your name as co-signer on the mortgage is to sell the home and use the proceeds to pay off the loan.